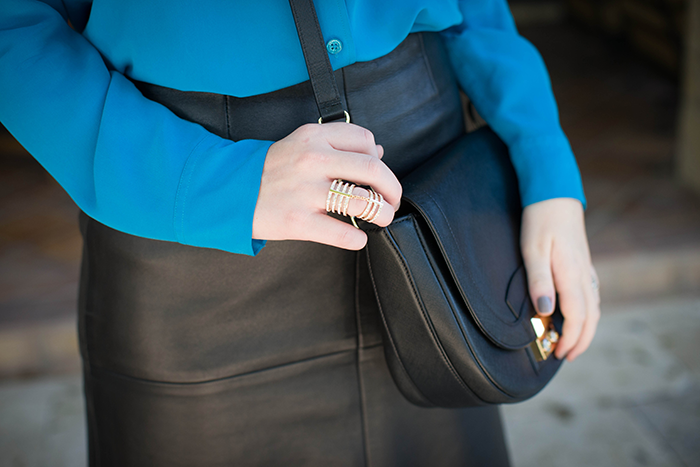 A leather pencil skirt is a fall/winter basic that every girl should have. It’s an effortless, timeless piece that looks great on women of all ages. I’ve had my leather pencil skirt since senior year of high school (can you believe it?) and I still wear it year after year. While I love my throwback piece, I’m considering investing in an updated version like this gorgeous J BRAND skirt. 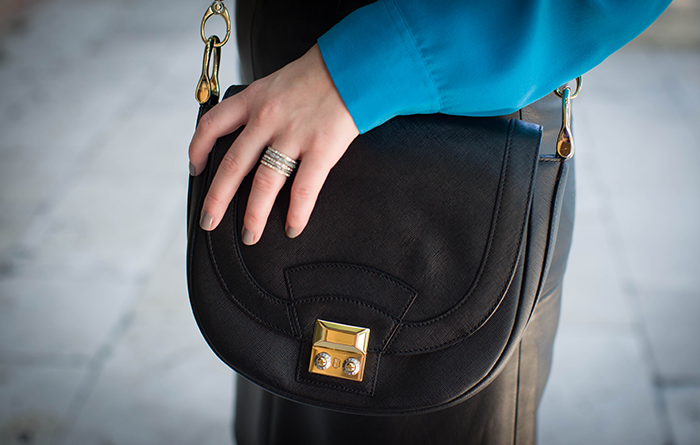 The gold zipper detail adds a little something extra, don’t you think? This Topshop skirt is only $250 and looks fab as well. 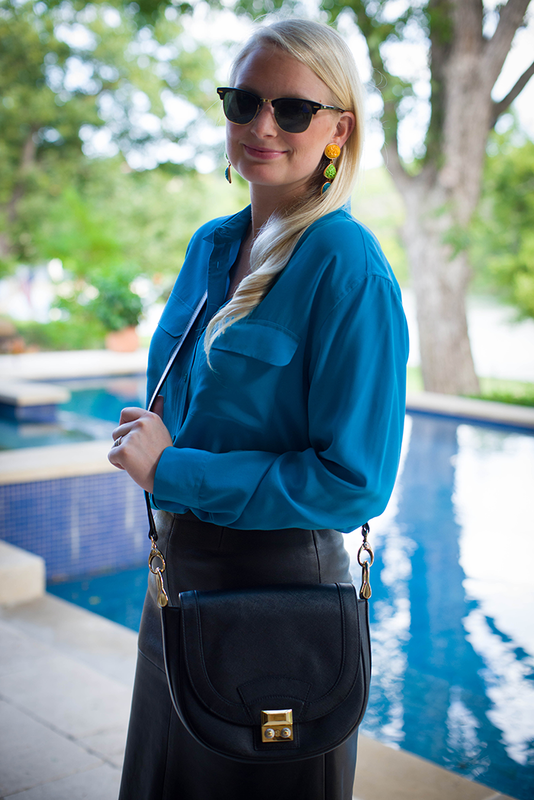 BCBG makes an amazing faux leather alternative, for those of you who prefer that. Whatever leather pencil skirt you choose, you’ll be pleased to find you can wear it all the time and with pretty much anything. Now that’s what I call a great basic! PS – the GAP is offering 30% off your entire purchase today only! Perfect timing considering sweater weather arrived in Dallas over the weekend. I’m scooping up this plush cableknit poncho and this cool navy + green plaid moto jacket. Just enter code GAPMORE at checkout and save big! Love the leather pencil, I got an a-line midi one instead but I do love this cut. And blue looks amazing on you. This color is absolute heaven on you and I love how the leather skirt & heels toughen it up just enough…perfect! What a gorgeous blouse! I stock up on similar ones from Joe Fresh (they’re great quality and VERY affordable), but I have dreams of buying an Equipment one. Maybe someday! I have a few full leather skirts, just added pencil skirt to my shopping list! And I’m obsessed with your Henri Bendel ring! That blouse is a gorgeous color, and I love your rings. The leather pencil skirt looks great-it’s a nice change from the usual pencil skirts you see, in wool or cotton. Those booties stole my heart. So pretty! Love the blue on blue! Happy Monday Merritt! 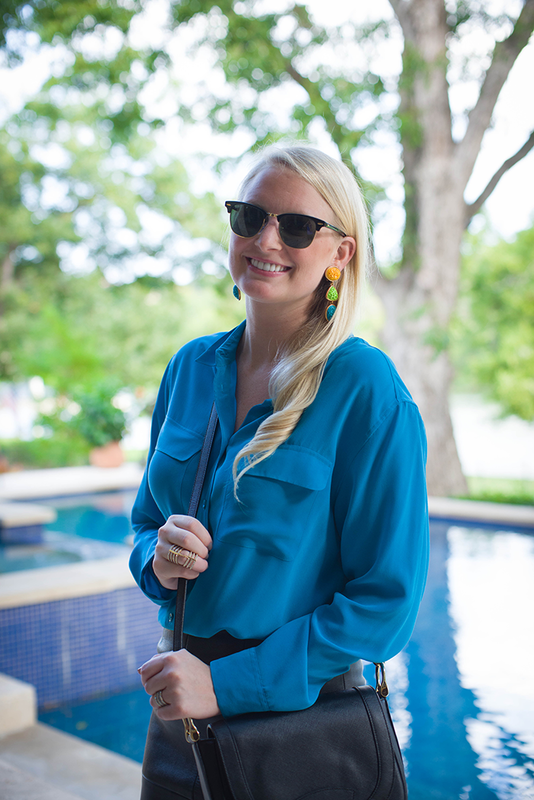 Merrit – i totally love ur style ! Your earrings have captured me! They fit perfectly with your outfit, such a great pick. The color of the blouse is gorgeous on you! A leather skirt is truly timeless and classic! Love the leather skirt and your shoes!! And the JBrand skirt is TDF! these earrings are to die for! i am obsessed!! Such a great look! Love the unexpected colors from those gorgeous earrings!